Birlasoft combines the power of domain, enterprise and digital technologies to reimagine business processes for customers and their ecosystem. Its consultative and design thinking approach makes societies more productive by helping customers run businesses. 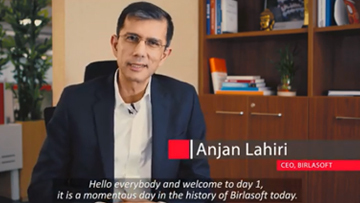 As part of the multibillion dollar diversified The CK Birla Group, Birlasoft with its 10,000 engineers, is committed to continuing our 150 year heritage of building sustainable communities. Making societies more productive by helping our customers run their businesses. People are our biggest assets. This includes the customers we serve, our colleagues and the suppliers we partner with. When customers work with us, they allow us to enter their organization and blend harmoniously with their culture and people. We engage with them to work seamlessly. It’s no different when it comes to working with our partners. Customers look for support and we make them feel that they can rely on us. It’s very important for us to ﬁnd out how we as an organization can win their trust and continue to function as a dependable unit. Our organization is about scale and quality. We take great care to deliver the best to our customers by understanding their needs. 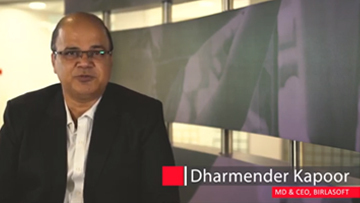 Focus, agility and ﬂexibility from our side are always paramount as we go the extra mile to drive success for our customers. We strive to exceed the expectations of our customers by providing defect free products and value added service through innovations solutions. We accomplish this objective by leveraging practices of CMMI DEV, CMMI SEV, ISO 9001, Lean, Six Sigma and ITIL.